Bgo.com is considered a relative newcomer to the world of online gambling due to the fact that it was founded in 2011. Owned by BGO Entertainment Limited, it focuses primarily on the European Economic Area (EEA) market and is regulated by the Alderney Gambling Control Commission. Bgo.com provides bingo, slots and classic casino staples. It uses its own software for bingo games ensuring that it is able to provide unique games in this category which have been tailored to meet the expectations of its clients. Its collection of slots is constantly growing and the casino is currently having a selection developed in house. In addition, the casino also provides classic favourites which are essential for every conventional or virtual casino. As a result, players can look forward to lively colourful games, engaging chat hosts and generous jackpots. The casino’s most popular games include: 90 ball, 75 ball bingo, Free bingo, Baccarat, Roulette, Blackjack, Poker, Jungle Trouble, Jurassic Island, Starburst and DaVinci Diamonds. These have been updated recently and we advise players to check the site to ensure you get up to date information. Bgo.com is licensed and regulated by the regulated by the Alderney Gambling Control Commission which is an independent iGaming regulatory body that acts on behalf of the States of Alderney. The casino upholds the high standards of transparency and ensures its clients details are protected in accordance with relevant data protection laws. 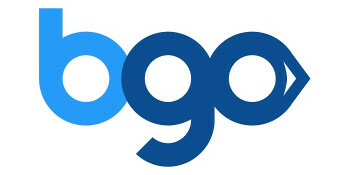 Bgo.com caters to clients from Finland, Norway, Sweden and the United Kingdom. The casino however does not permit clients from any of the following countries to place any cash transactions or win any prizes: the USA, US/GB Virgin Islands, US Minor Outlying Territories, Spain, Italy, France, Afghanistan, Libya, Sierra Leona, Iran, Iraq, Nigeria, Zimbabwe, Mali, Sudan, Belgium, Greece, Israel, Turkey, Switzerland, Hong Kong, Denmark, Estonia or the UAE. Fans of online games will discover that information in Bgo.com’s member’s area is presented in an orderly manner. It also contains essential links connecting the client to the main gaming sections, customer support and deposit and withdrawal sections. This ensures players have access to all the necessary information in order to enjoy the games of their choice. Bgo.com imposes a minimum deposit of £10 and a maximum deposit of £5,000. Both values also depend on the limits of individual players. Authorized methods of payment include: Visa, MasterCard, Maestro, PayPal and Ukash. Deposits are processed instantly while withdrawals take 36 hours due to the fact that the casino must conduct the required security checks. Transactions can only be processed using the card which bears the client’s name and any attempts to use any other cards will be rejected. At Bgo.com, every client is awarded VIP status and starts at the blue level. That means they are eligible to earn loyalty points. These points are needed to enable the players to reach the bronze, silver, gold and platinum levels which all have increasing numbers of perks. The more a client plays the more points they get and Bgo.com provides 1 point for every £1 wagered in bingo or for every £10 wagered on any slot or casino game. Players who have accumulated 125 points are promoted to bronze while 2 000 points are required to reach silver; 12 500 points are required to reach gold; platinum however is by invitation only. Additional information on the perks and benefits associated with each level can be found on https://www.bgo.com/account/loyalty. Bgo.com has implemented a very simple payment system to enable clients to withdraw and deposit funds according to their needs. Unlike most other casinos it does not have a wide range of payment options and permits clients to set their own limits with the overall preset limit of a minimum deposit of £10 and a maximum deposit of £5,000. Bgo.com’s customer team is available from 8.30 hours to midnight, from Monday to Sunday. Clients can make use of telephone, live chat provided on the website (which are available for the duration which was previously specified) or by email the team (the casino endeavours to respond to 80% can expect a response within 2 hours). Although considered to be a new comer on the market Bgo.com is rapidly making its mark as a fun and friendly environment for casino games fans interested in a brand new experience, particularly for those who are fans of slots. The casino has also gained a reputation for providing fast, efficient and friendly customer care. Bgo.com caters to the European Economic Area although its services are only provided in English unlike a large number of its competitors which provide multilingual services in order to be able to attract clients. Its website is user friendly and easy to navigate especially since games are placed into set categories and regular clients are rewarded through its VIP points system. Players need to be aware of the availability of the customer care team since it is not constantly available 24 hours a day or 7 days a week.